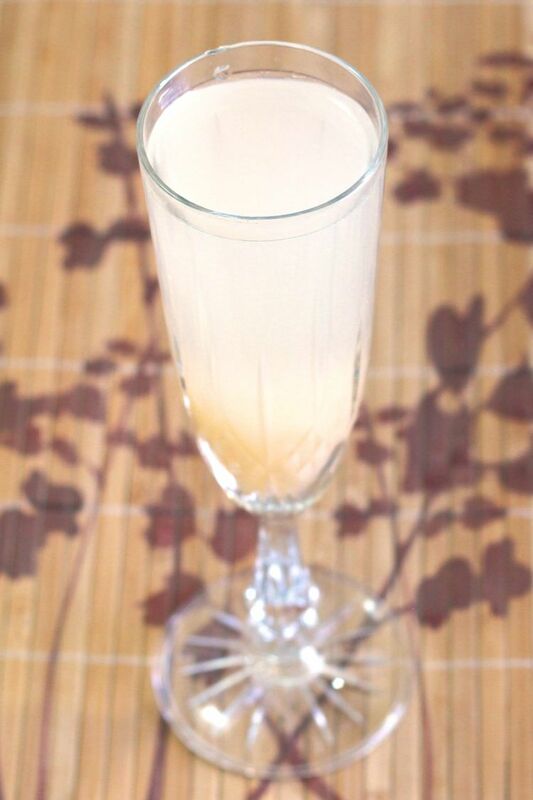 The Bella Bellini is a non-alcoholic mocktail take on the traditional Bellini, which blends prosecco with peach puree. Now, the obvious way to make this one non-alcoholic is to replace the Prosecco with non-alcoholic sparkling cider. But that cider adds a distinct apple flavor to it, and I wanted to preserve something like the taste of the champagne. The ideal solution was a dry sparkling white grape juice. But as discussed in the Mockmosa recipe, most of what’s readily available in the US is pretty sweet. So for those of you who can’t get a dry version, I added a bit of mineral water and lemon juice to cut that sweetness and make it taste more like actual Prosecco. 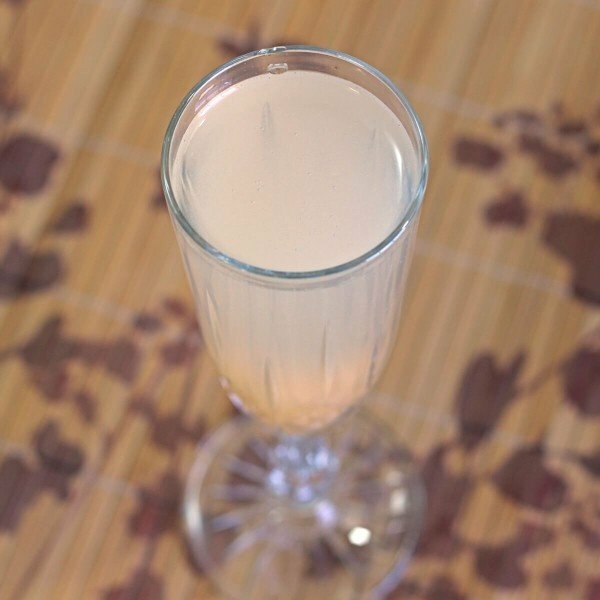 Put the peach puree in the bottom of a champagne flute. Squeeze in the lemon juice, then slowly pour in the mineral water and grape juice so it all stirs together.